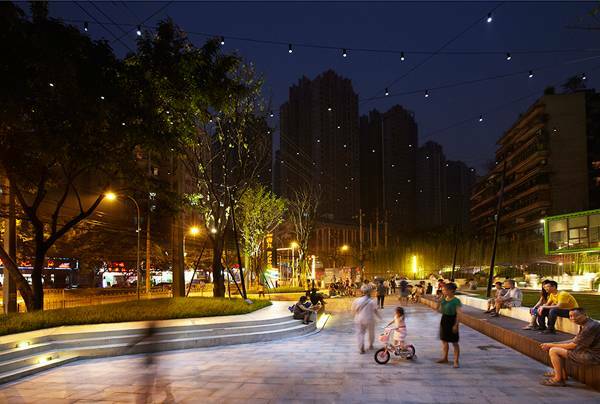 Vanke Chongqing Xijiu Plaza, Chongqing by ASPECT Studios As landscape architects, we are always striving to create successful places for all living things. 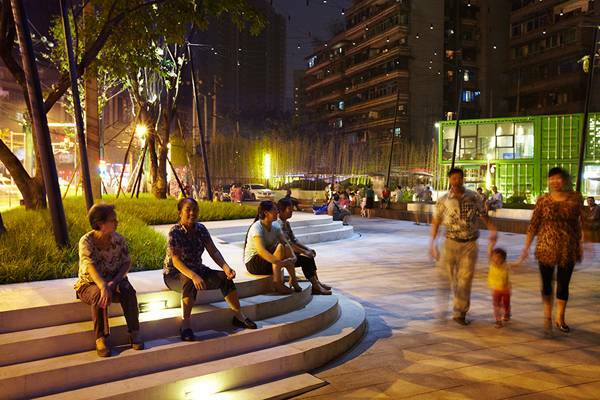 In many urban places, designing successful places for large quantities of people to linger is a powerful tool for making cities more vibrant and livable. 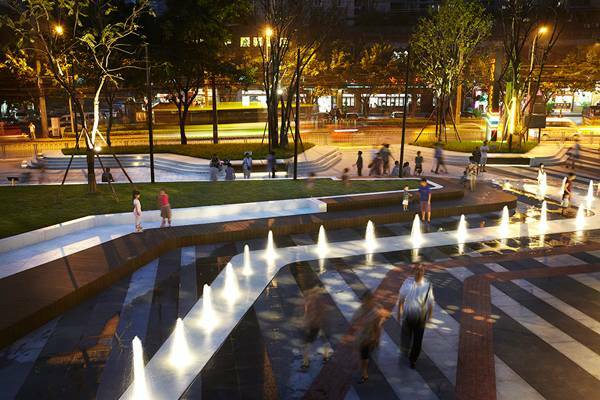 Hence urban squares and plazas can play a big role in shaping cities. 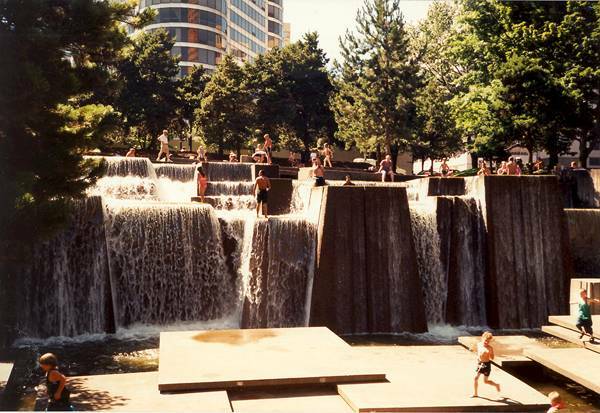 When you look at designs like Lawrence Halprin’s Ira Keller Fountain Park, which was inspired by Columbia River Gorge, its success was tremendous in bringing people together amidst the busy city. 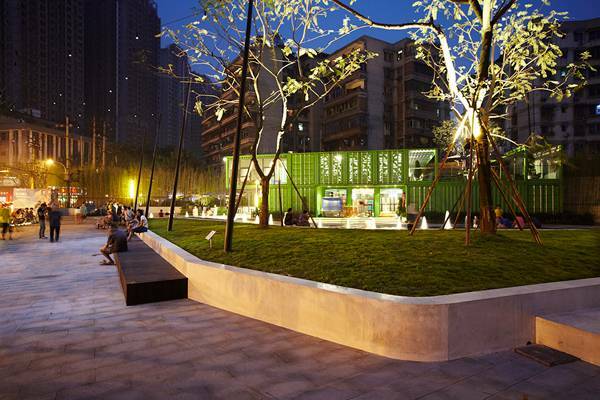 Here is a design that proudly sits in the perfect context of its own city with the same aspirations of bringing about social interactions. 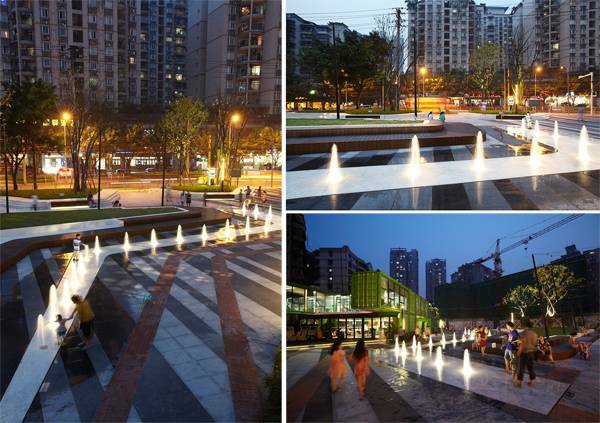 The Plaza and Hope For The Future For this project, we travel all the way to Southwest China to take a look at Vanke Chongqing Xijiu Plaza in the city of Chongqing. 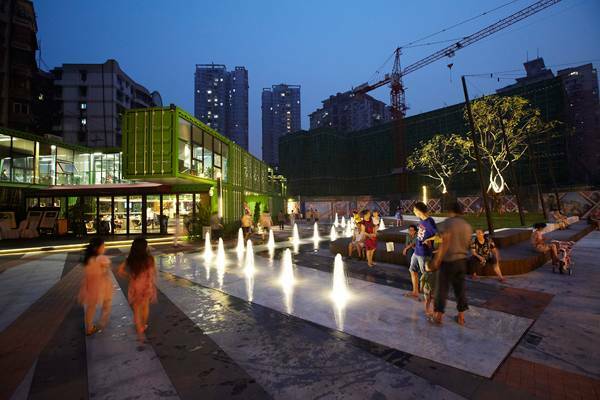 Located at the centre of Shipinggaio retail hub, the client, Vanke Group, hoped to turn this plaza into a vibrant urban space for the younger generation to work, live and play. Previously, the site was the hospital grounds as well as it being a former steel fabrication area. These pieces of history hold high importance within the local community, for now, the site is being redeveloped as a mixed-use development with residential and “LOFT towers” with retail facilities and roof gardens. China’s Fourth Largest Municipality On top of this history is the fact the site sits in Chongqing. 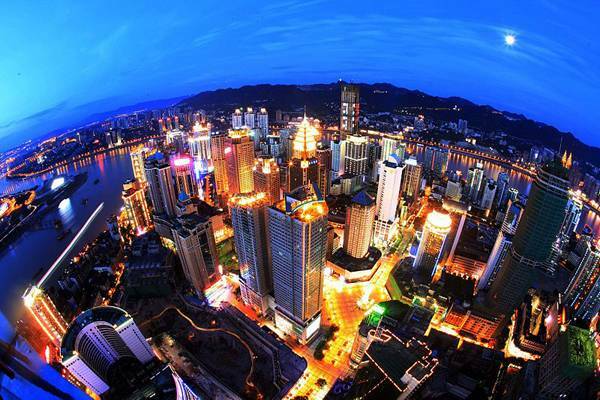 Chongqing’s importance in China is growing. 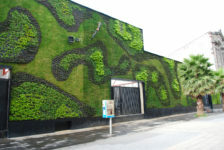 It is China’s fourth largest municipality located in Southwest China. Although it is a truly modernized city today, it encompasses many water reserves, mineral resources, dense forests and abundant flora and fauna. It is famously known for its mountains. Because of its ideal location the city is ready to be a pilot in the development of western china to bring in more investors and visitors. 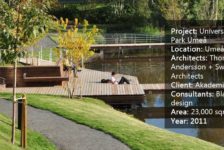 With a strong historical past and many hopes and opportunities for the city as a whole, not to mention the beautiful natural surroundings as a backdrop, the site has a lot to celebrate. 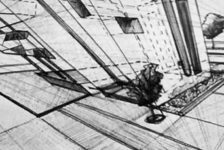 ASPECT Studios stepped up to the challenge and carefully demonstrated the social and historical layers through their physical design implementations. The Design First of all, the design captures the site’s heritage and the unique rolling topography. 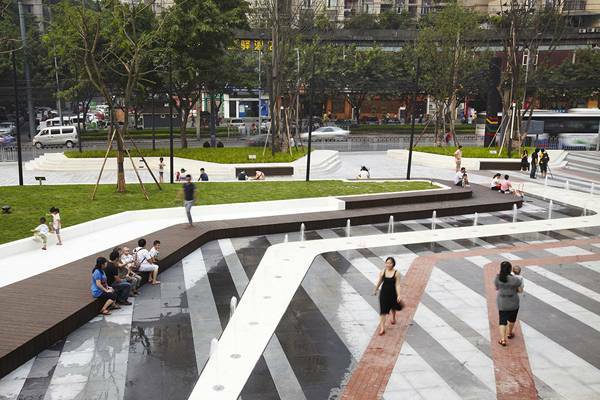 Chongqing mountains and rivers are graphically presented with linear striking paving patterns and water features, raised planters with timber seating and concrete steps that are elegantly tiered that on a whole, the site feels as though it was meant to sit amongst the rolling hills of Chongqing. 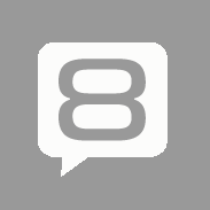 Sculptor Creates Major Public Square! 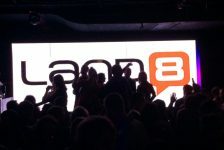 Lighting Lighting, as ASPECT Studios describes, is also a “holistic part” of the overall design. It definitely does add to the final layer of creating a peaceful ambience. The lighting is made up of catenary cables that resemble stars against the night sky and up lighting to the Fig trees as though they too are worthy features to display. 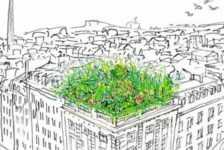 All in all, the design seems to interact happily with the site’s new retail and residential uses allowing diversity in interaction. You can really see how each element of the design supports one another. 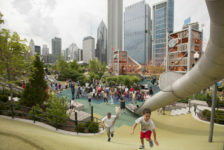 It is a lovely skeletal space for many forms of gathering: the water feature and lighting promotes an ambience of peace whilst the spacious seating and tiered islands will surely bring a playful atmosphere for children and adults alike and the large shaded trees with low mown grass are a warm welcome for any bustling city life.